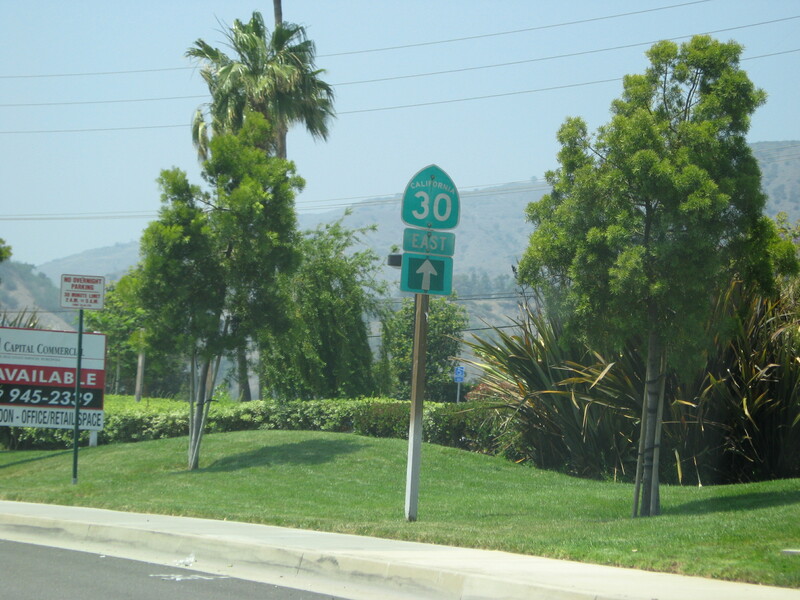 On Historic US 66, while it is CA 30. 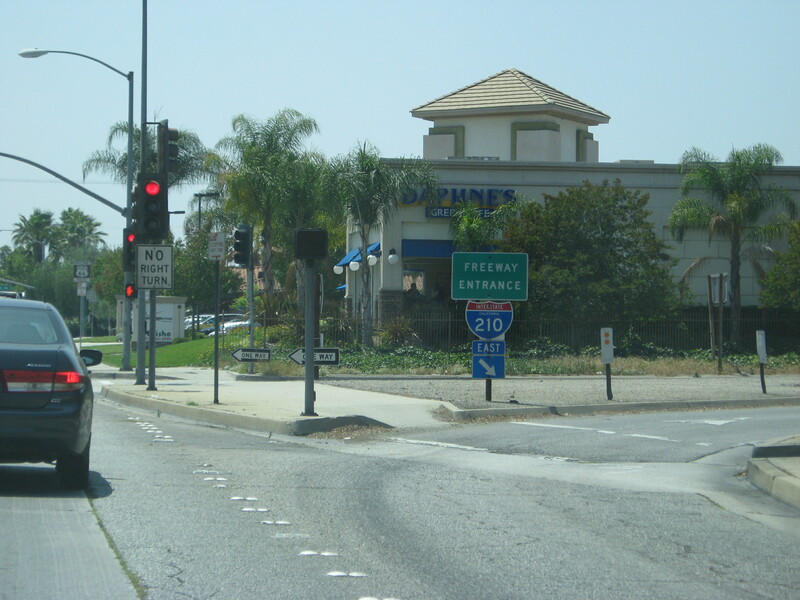 Still on Route 66, at an I-210 entrance ramp. 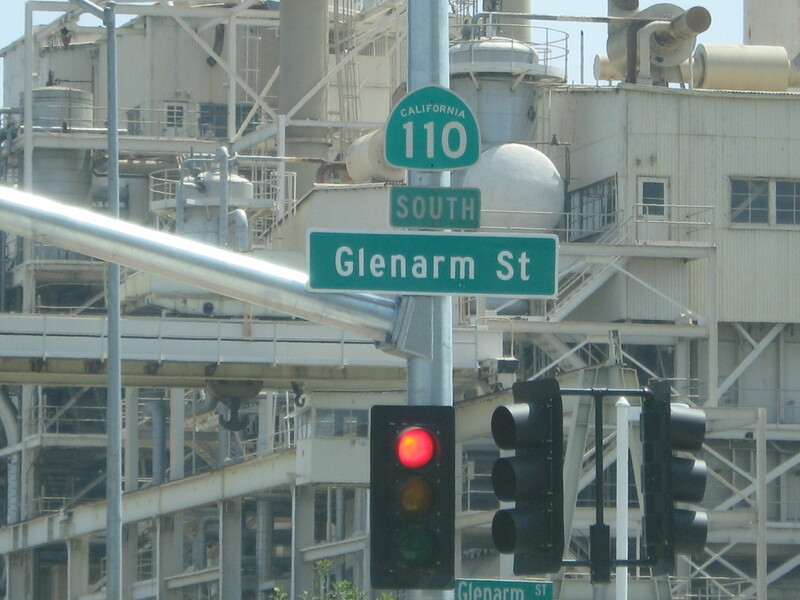 Now on CA 110 in Pasadena. 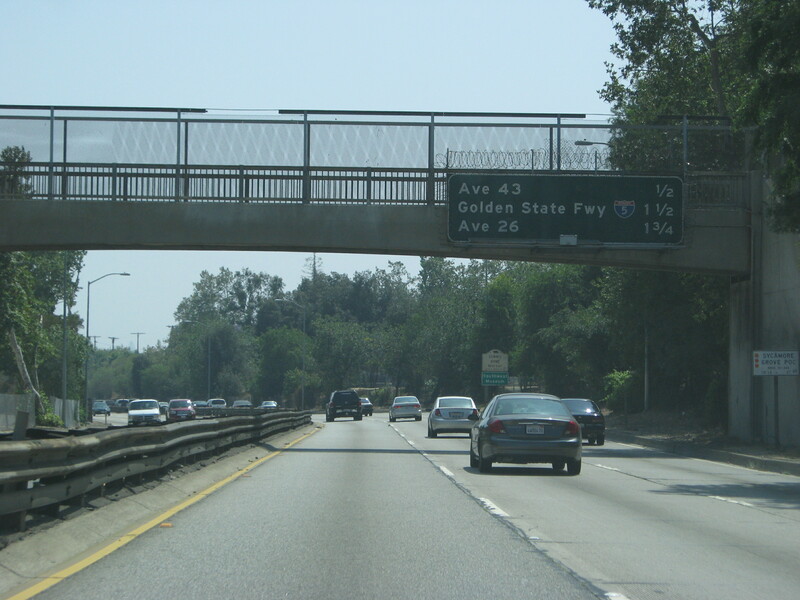 CA 110 is a curvy, narrow freeway. 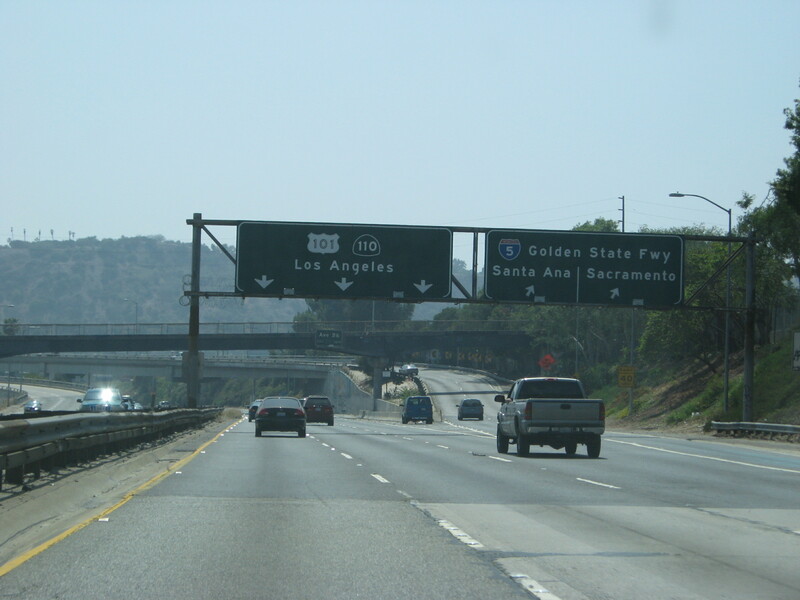 I was expecting more traffic in Southern California! And it was even the weekend! 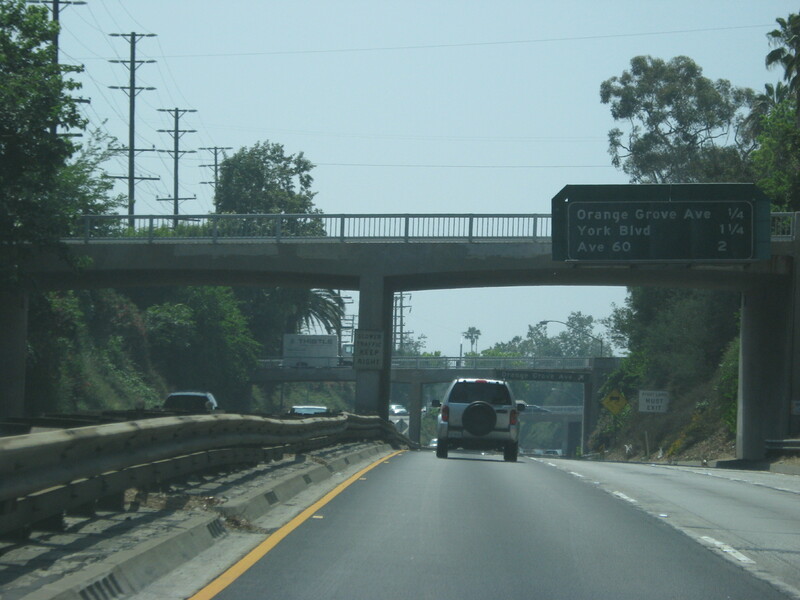 You know those photos of the first freeways in the U.S.? 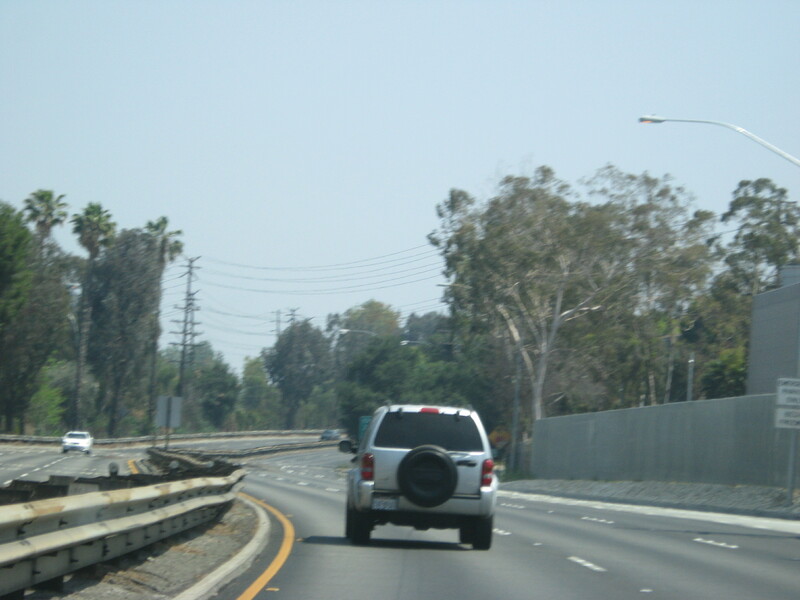 I believe this was one of them-- it looks almost exactly like one of the pictures I saw of the freeway that replaced Route 66 (which this one did, actually). 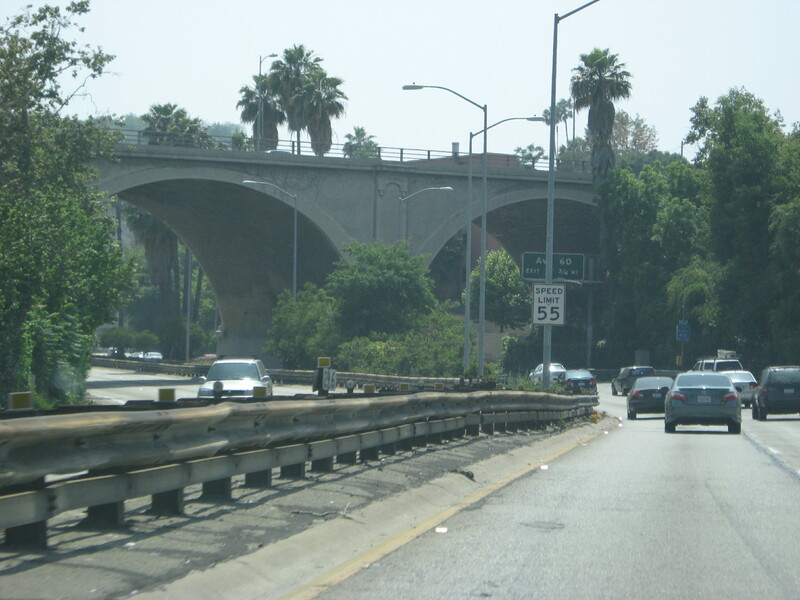 A neat bridge over the Pasadena Freeway (CA 110). 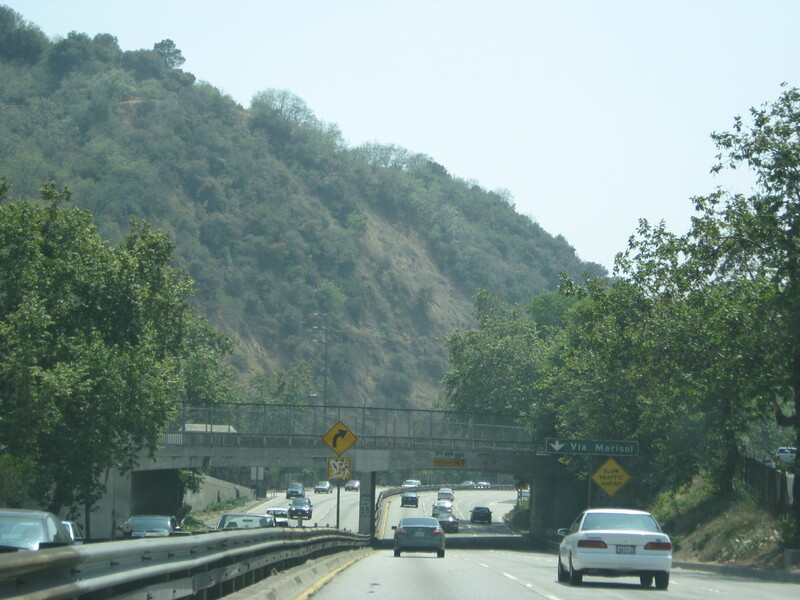 Mountains and freeway! Oh boy! 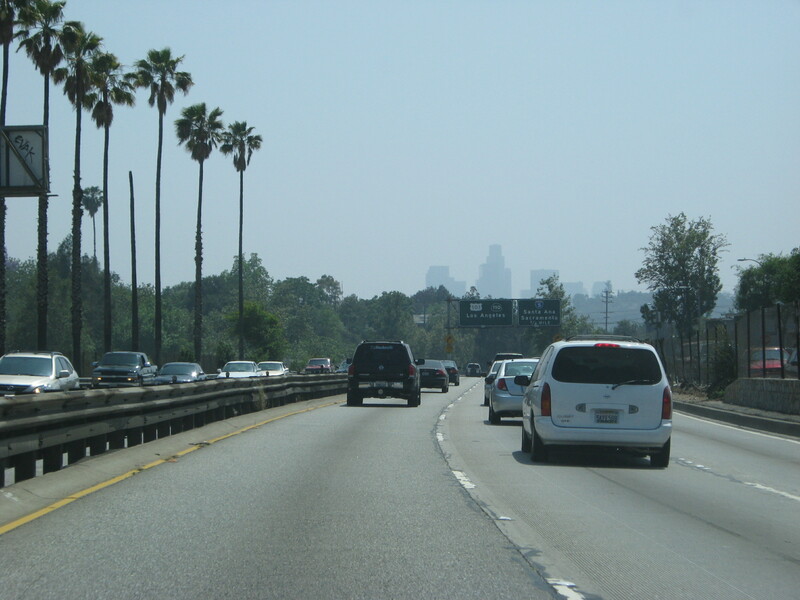 Almost to downtown Los Angeles. 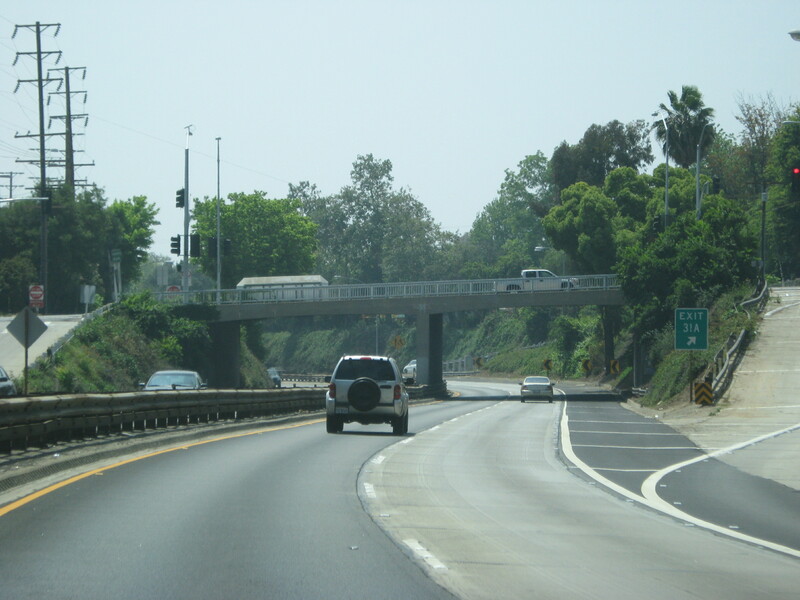 In central L.A. on the Pasadena Freeway. 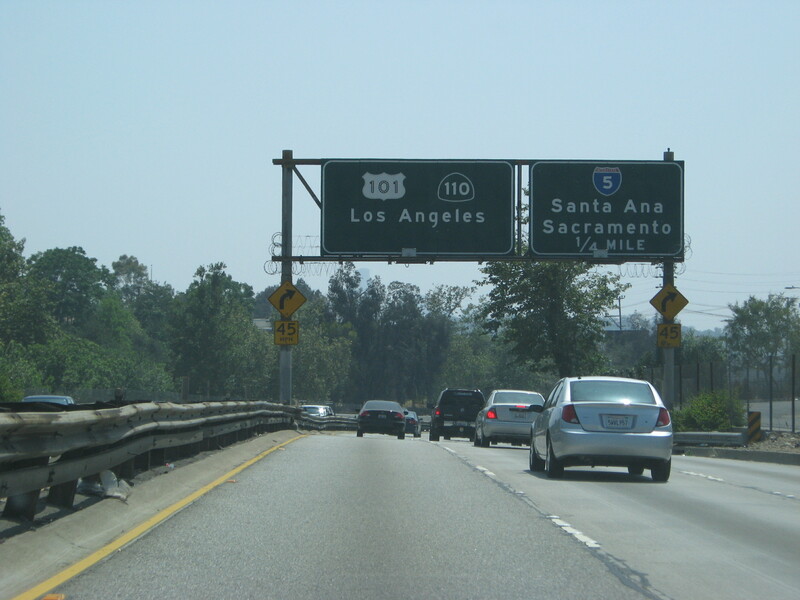 US 101 hooks up here, beginning its northern journey along the Pacific Coast. 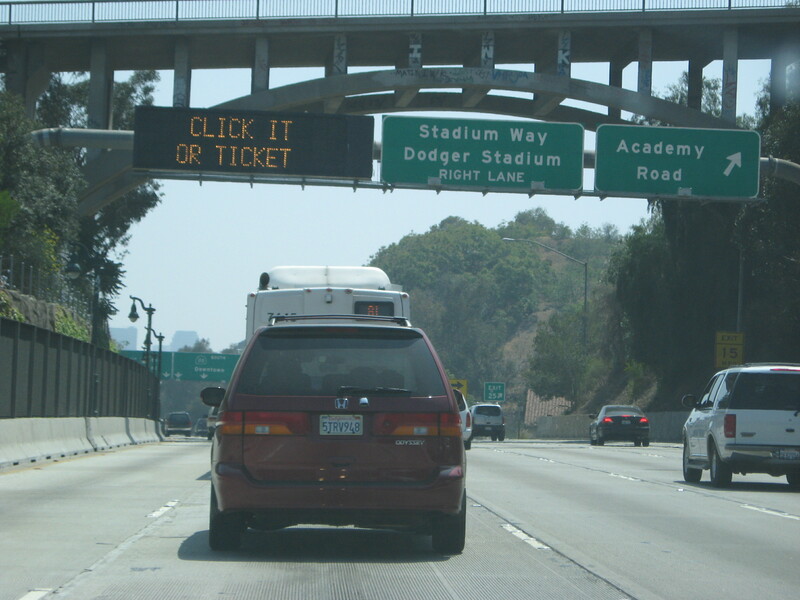 At I-5. Some sharp curves ahead! 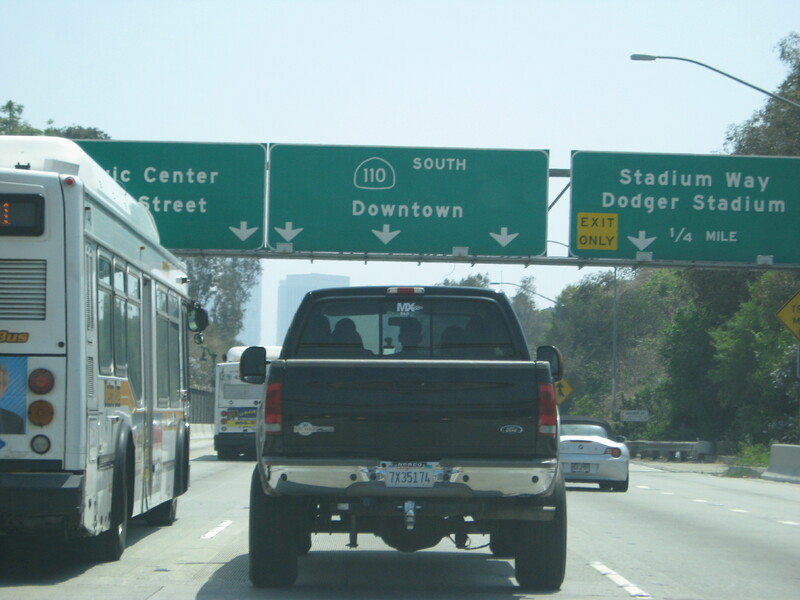 Passing by Dodger Stadium in downtown L.A.
Eh, I just threw this one in here for the signs. This one, too. That Mercedes convertible gets the award for worst driver ever. No, actually, he gets the more prestigious "worst human being to ever disgrace this world" award. 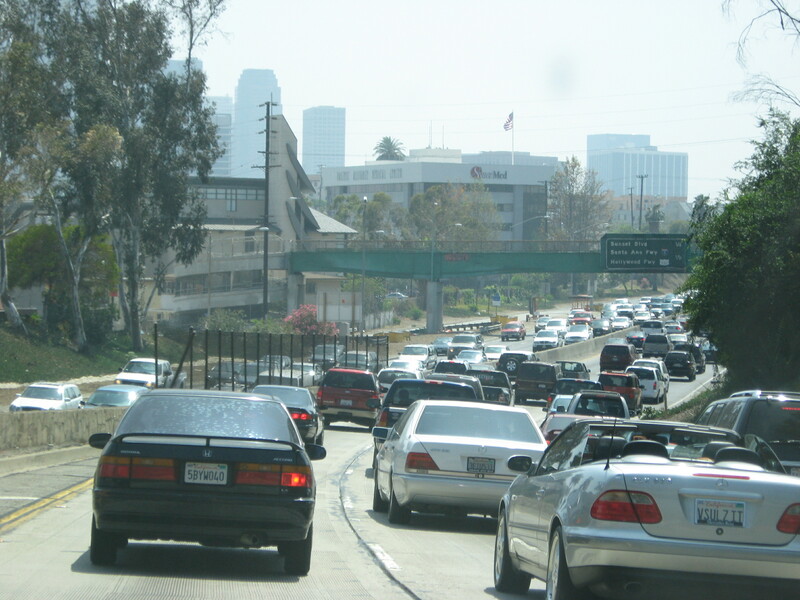 Ugh... my first SoCal traffic jam! 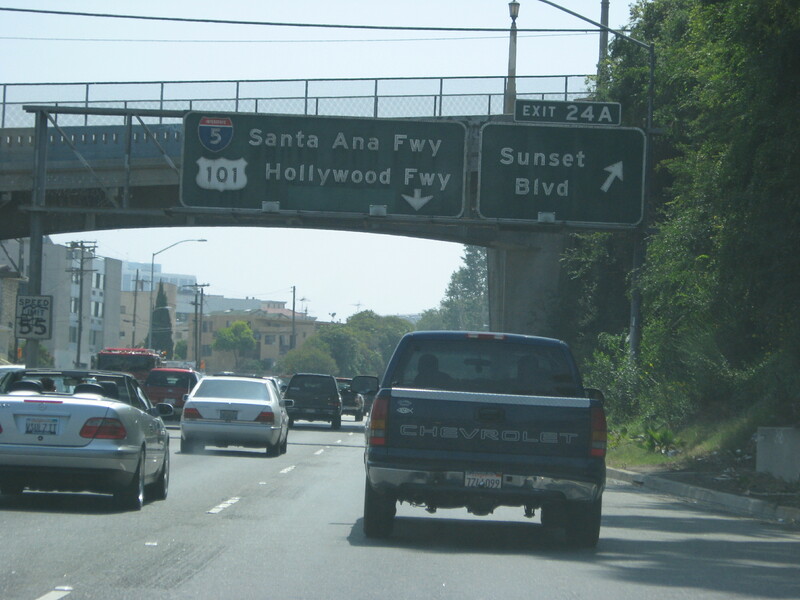 Join your lovers in their heavy machines, it's a scene, down on Sunset Blvd. 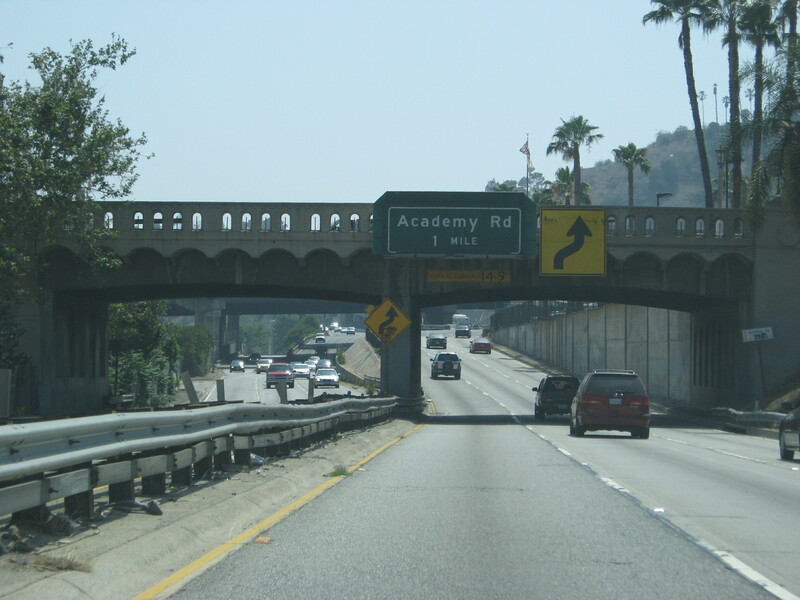 Say goodbye to Hollywood. 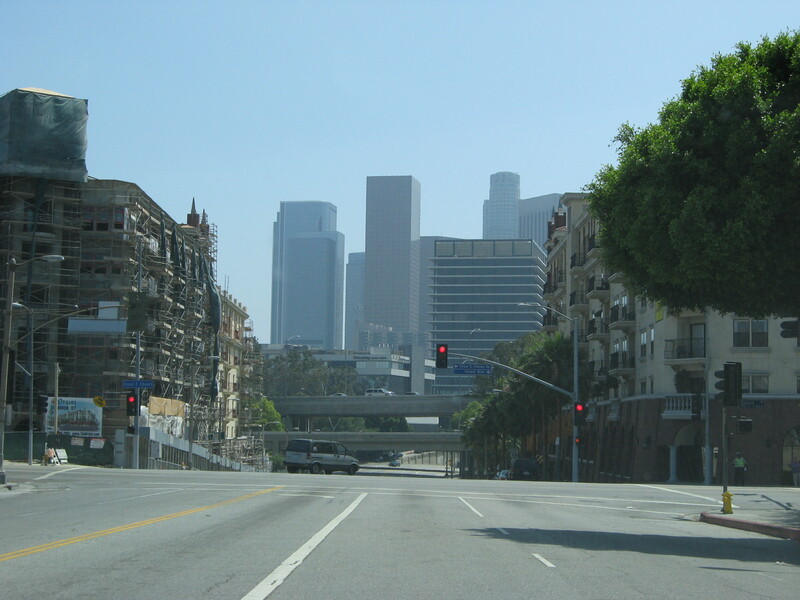 And now for a random shot of central L.A. from the surface streets. 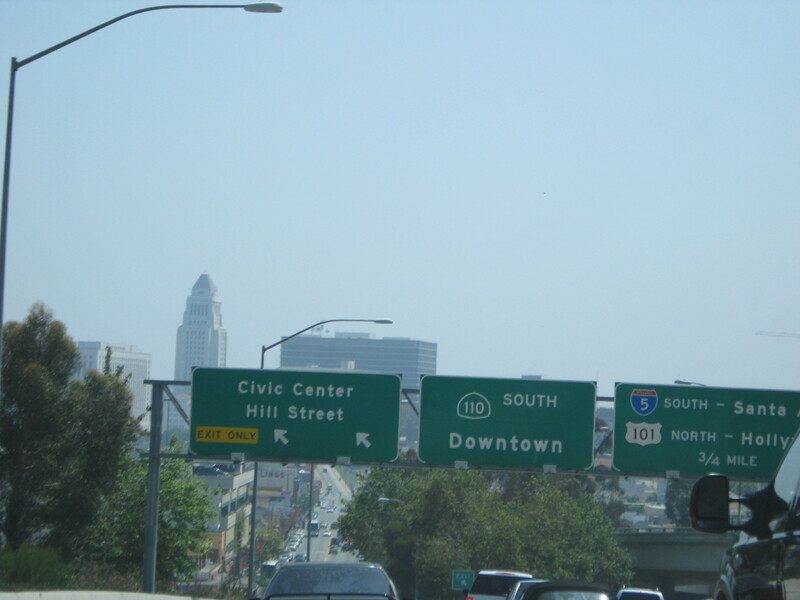 I'm pretty sure that's all the SoCal pictures I have. Hope you liked 'em.